Here he is! Look at that hair! It is kind of curly and dark brown with maybe a little red tinge to it. Believe it or not, his father had more hair! Grandpa Jamie loves babies so much already, it is fantastic to watch him cuddle and coo over his first grandbaby! I almost didn't get a turn to hold him! I finally got a turn, and thought I might like a picture of me holding the little peanut someday, so here it is. I unwrapped him and was trying to wake him up so momma could feed him. It had been about 6 hours since he had breastfed last and momma was getting worried. Already a great mom! At 4 months gestation, the ultrasound had shown that baby was a girl, so momma had gotten all kinds of baby girl stuff, and baby girl type gifts and hand-me-downs were gathered and given. Momma had dreams of the things she would do with a little girl. Then last week, they did another ultrasound and found evidence of baby being a boy! Momma had to mourn the dream of her baby girl and think about getting baby boy clothes, blankets, etc for this little fella! It was probably a good thing she had a week to get used to the idea of a little boy :) This is the second time in the last 6 years in our immediate family that this has happened! My husband's brother Jeff and his wife Heidi thought they were having a girl, right up until they delivered little baby boy Caden! Surprise! 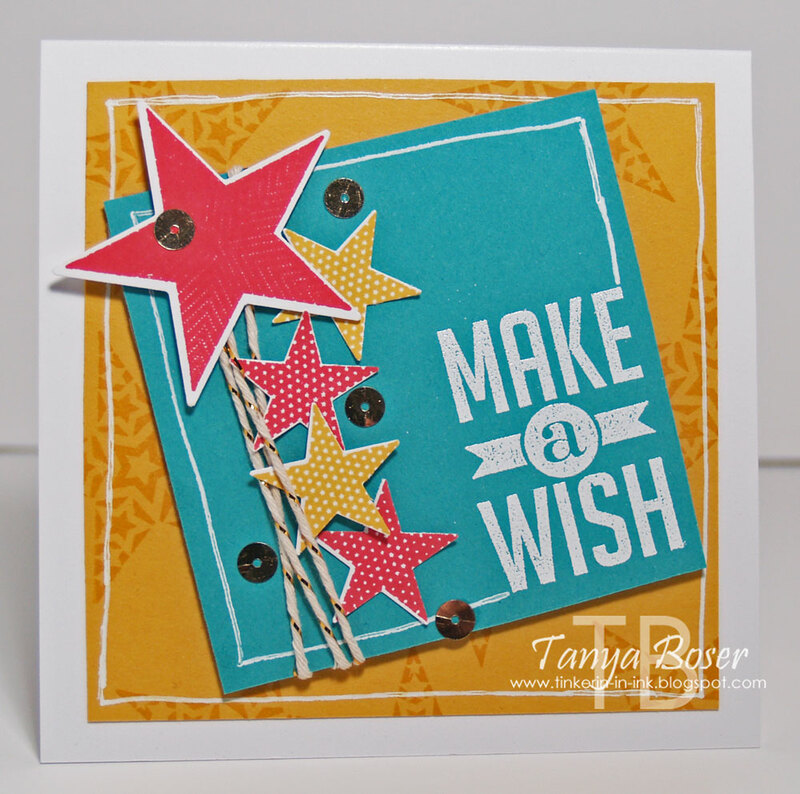 This is the second card design I did for the recent swap. I think it turned out quite nicely :) It is also the first time I used the Kind & Cozy set, even though I have had it for months! I tend to think I am going to use stamp sets sooner than I do. 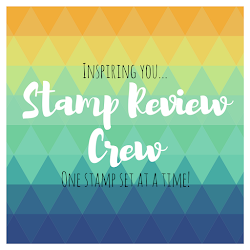 Mostly because I make sure I have plenty of stamping "assignments" between the Stamp Review Crew, the Paper Crafters Sampler, swaps, and Stampin' Addicts blog hops that I rarely have a time when I don't have a deadline approaching. This is self induced, mind you, lol! And I like to have goals. 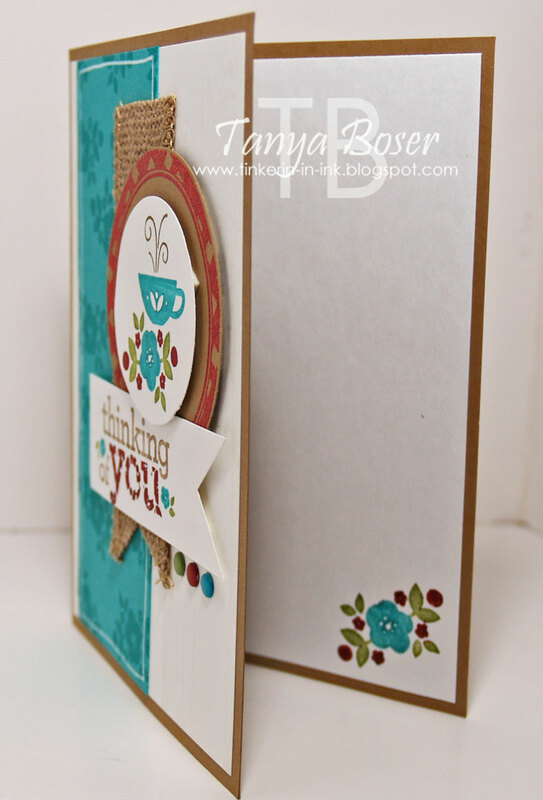 I had not used my colored embossing powders lately and thought this would be the perfect time. 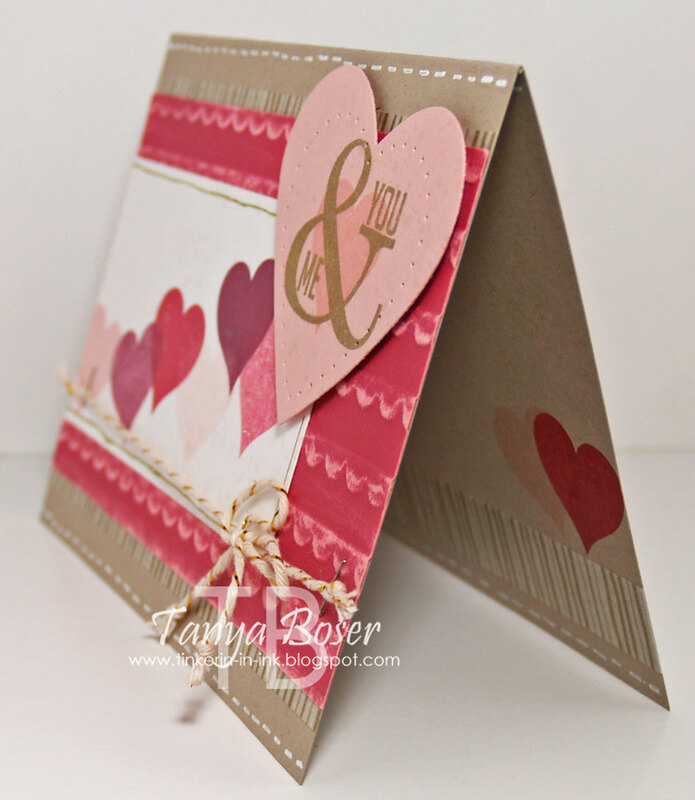 The gingham label circle is embossed with Cherry Cobbler embossing powder. I have found that this particular embossing powder will turn color if heated to long, just as an FYI. 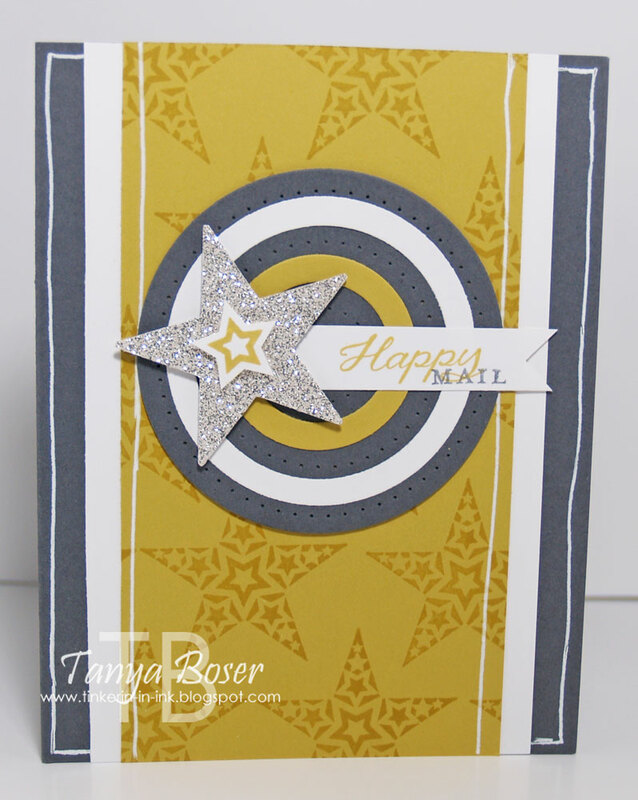 Doesn't it look sharp on the Baked Brown Sugar cardstock?! I also did a lot of inking with markers. I found a great tip on how to refill your markers here, so I was able to get my Old Olive nice and juicy again in just a few minutes. The rest were still nice and juicy already. Since I used a dark card base, I needed to line the card. 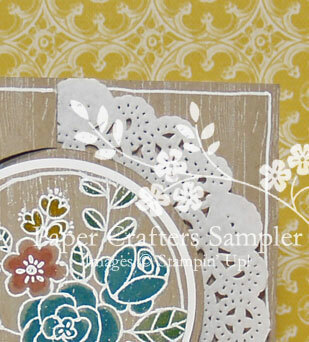 A white panel is stamped in the lower corner with the floral image from the set. Woo-hoo! 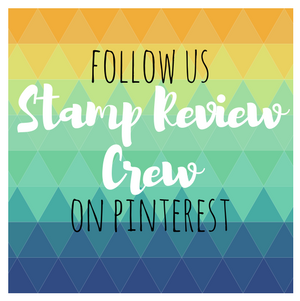 Another Stamp Review Crew hop! These are my favorite days of the month :) We have quite the challenge for the Crew members this time. 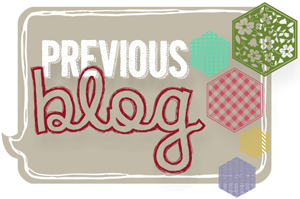 How much can you do with a set of seven hexagons and three sentiments?! Well, we are about to find out, lol! I went a little crazy with the little flowers on this card. Well, it is spring! At least in most of the country, lol! I still have some snow on the ground and some gladiolus and dahlias just waiting for the ground to thaw so I can plant them :) Until then, I have to make do with creating them, instead of growing them. 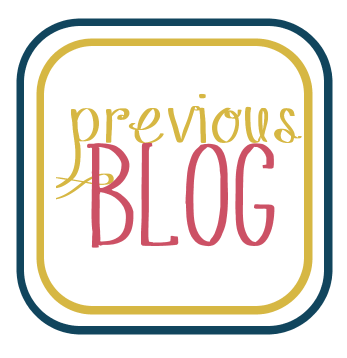 I just got my Fringe Scissors too, so I had to play with them on this project! You can see the hexagons a little better in this picture. It is sure tough to photograph shiny things! 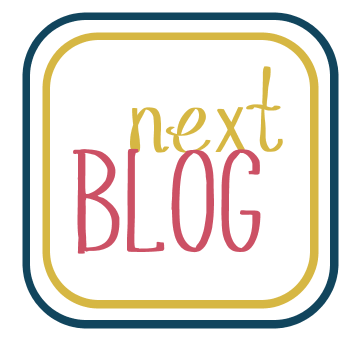 Now it is time to hit the next stop with Betty Traciak, I can't wait to see what she has created! You can just barely see the Pistachio Pudding feather on this card, but I think it still looks good. 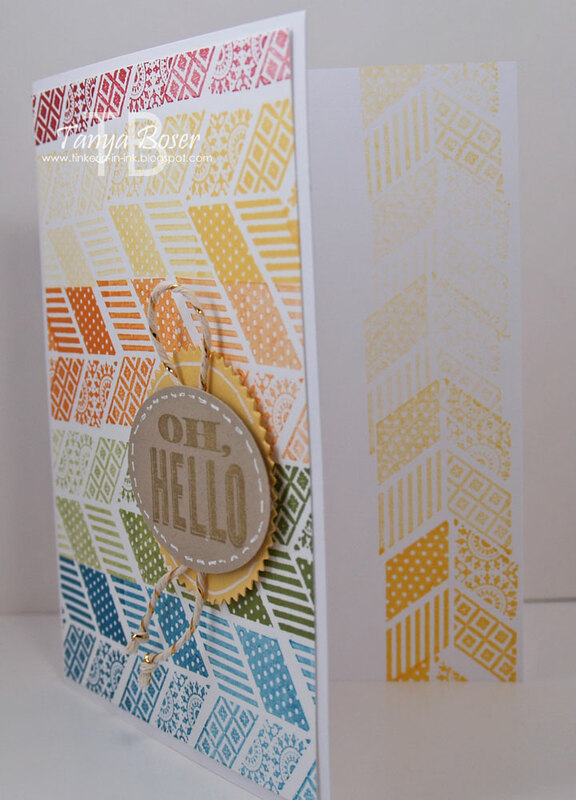 I added the Gold Encore and Whisper White spatters with a stamp from Gorgeous Grunge, which is another must-have stamp set in my book. 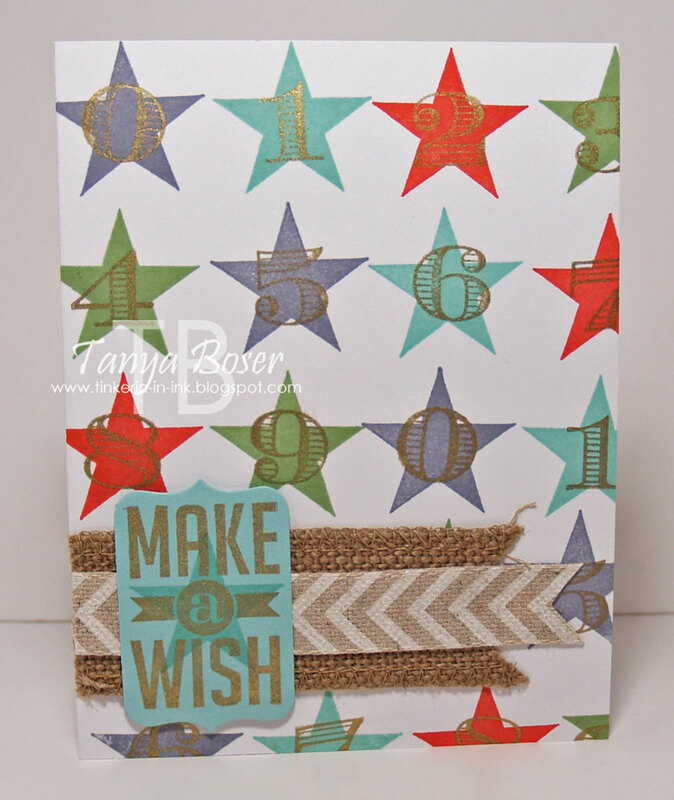 Gold washi tape adds detail to the embossed strip and ties all of the gold together in the card design. The feathers are added to the inside corner, along with some gold spatters. 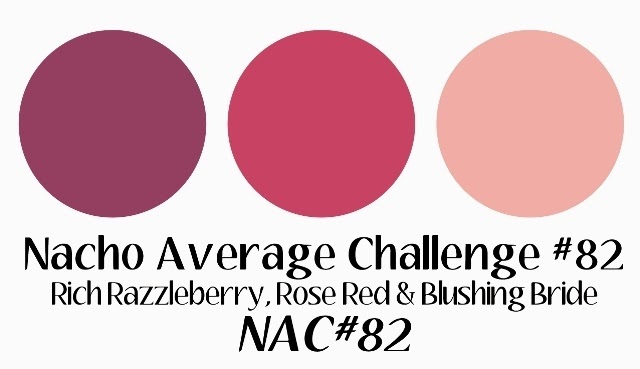 This card was made a couple of weeks ago using a color challenge from Nacho Average Challenges, but I did not get this post done in time. But that does not mean I can't share the card with you anyway! This was the challenge I used. What an interesting combo, right! 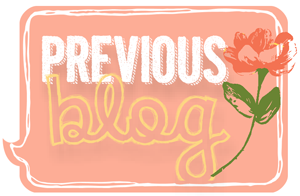 I think I used a sketch challenge from somewhere too, but I have no idea which one it was anymore. Oh, well! 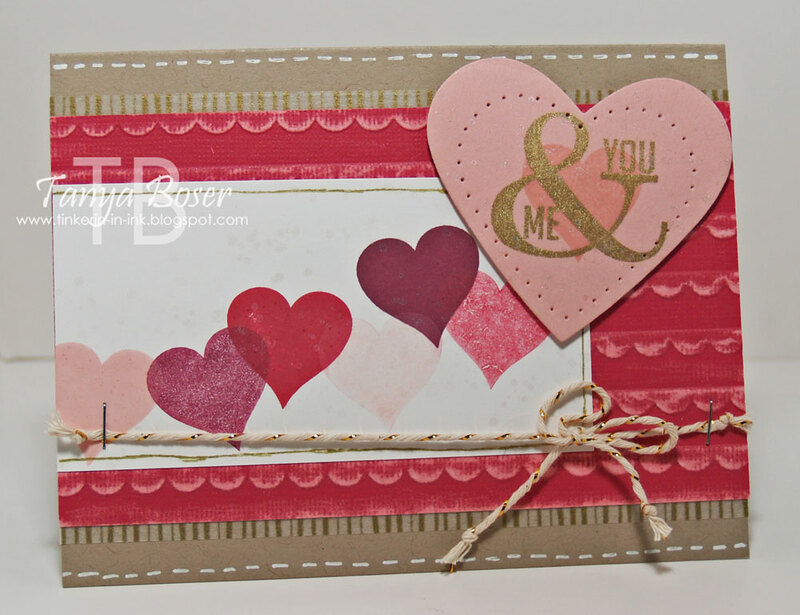 The stamped hearts were inked once and stamped twice to get different tones of each color. You can barely see it, but I stamped a spatter image in Illuminate ink over the trail of hearts also. The Washi tape boarders add just the right touch without adding any bulk. Gotta love that! 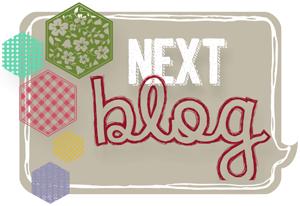 I wanted to make something with a hint of print and some soft sponging, but not distressed. Clean sponging? Does that make sense? Well this is what I did! I started with a piece of Whisper White cardstock. I inked up the Dictionary BG stamp unevenly with Smoky Slate ink, stamped off once, then stamped partially onto the white. 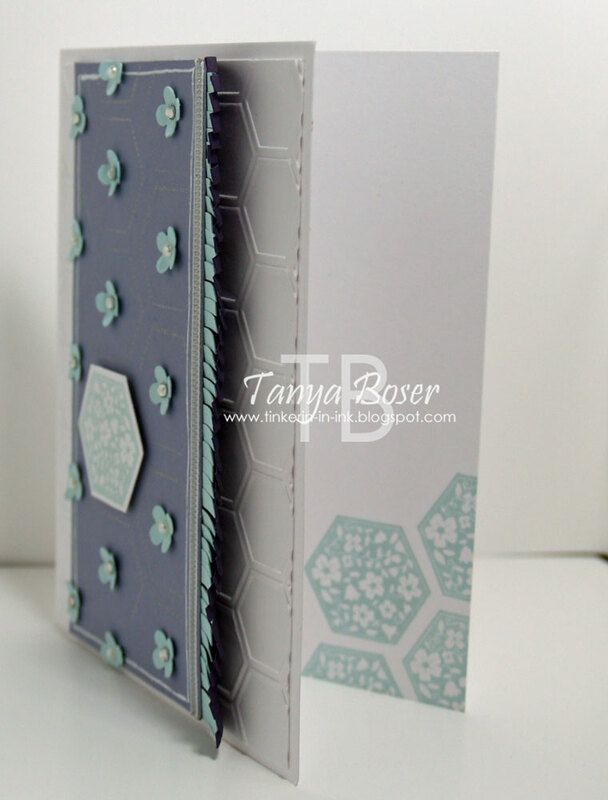 After that dried, I then rubbed my embossing buddy all over and stamped a variety of feathers in Versamark and then heat embossed with White embossing powder. Next came the sponging in Pistachio Pudding and Coastal Cabana. Then I stamped the smallest feather in Silver all over a ¾" wide piece of Smoky Slate, and the smallest two feathers on the main piece of white.Stamp "hello" in silver on a ¾" wide piece of Pistachio Pudding. Cut a 1" strip of the striped Foil Vellum. Dove tail all three strips. 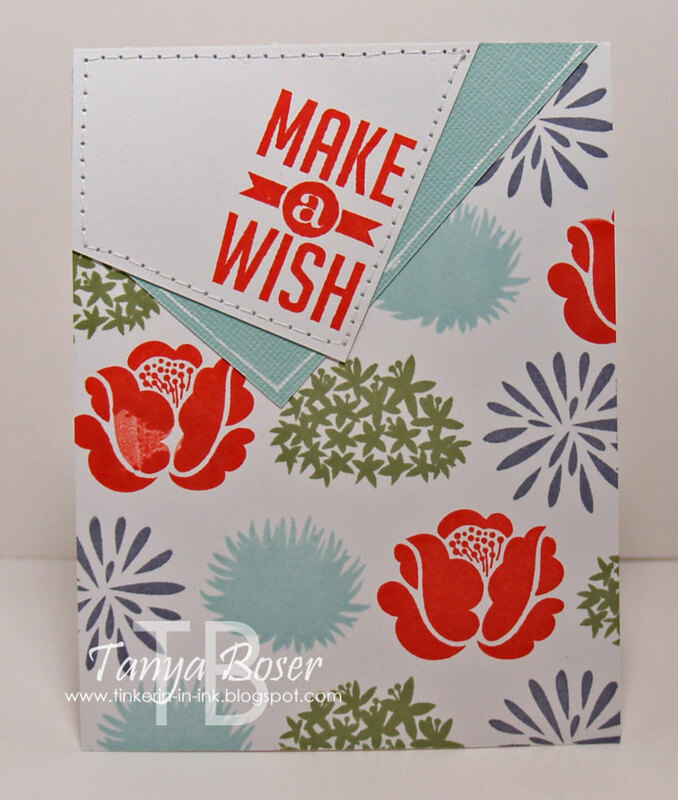 Use corner rounder on the main white panel and a Coastal Cabana card base. Outline the Pistachio, Coastal Cabana, and the white panel with a Signo with gel pen. Adhere the layers as you see them. 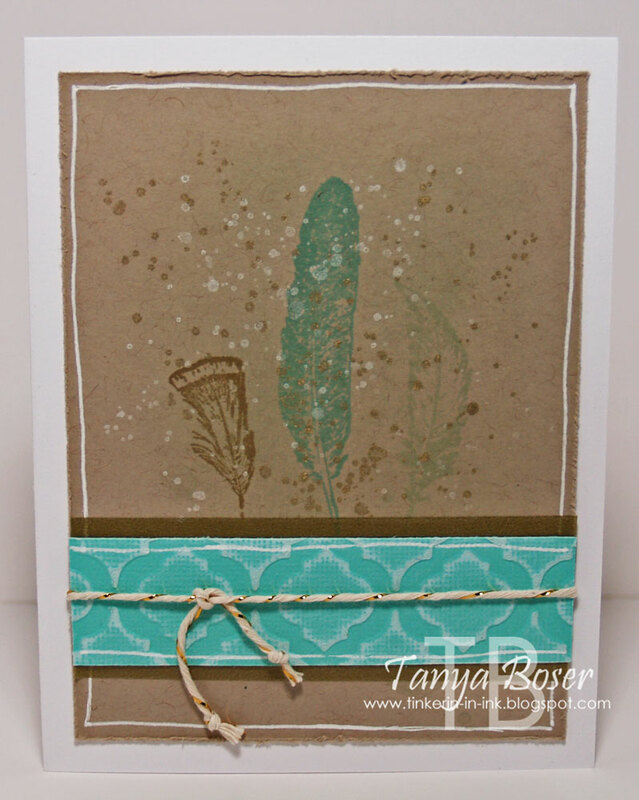 Make another white panel to line the card, sponge green and teal in a corner, then stamp some silver feathers over the sponging. 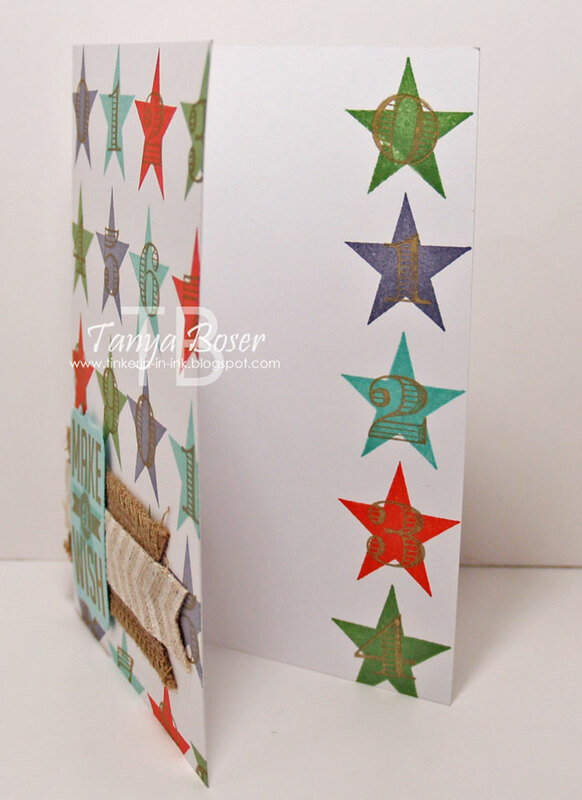 Adhere the panel to the inside of your card. What do you think? Does it look to flat? I can't believe I didn't use any dimensionals!! "Gardens are coming to life. Budding trees and perennials will soon fill our homes with bursts of color and fragrance. 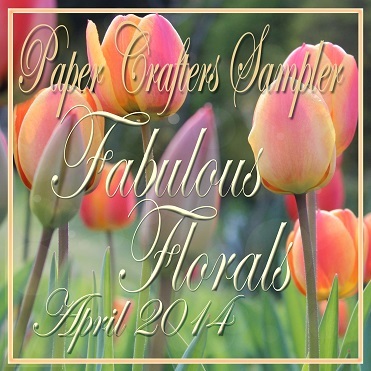 If your garden hasn’t awakened quite yet, try decorating with a few paper beauties. 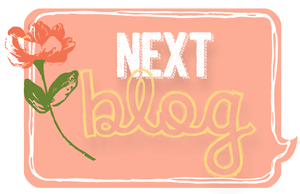 This month’s template is a “Strawberry Pot”. A little table top container for stuffing with faux strawberries or flowers." This is a little taste of the project I designed for this issue. There several really WOW projects this time around! I have been a bit MIA lately, on purpose. As many of you know, I work 12 hour night shifts. I also stay up all night on my days off because this bod of mine does not function well flipping back and forth anymore. I think I wore that switch out over the years ;) So, being a person who does my best work when I just get up, I usually go right up to my stamp room on my days off. Then when I am ready to go do housework and cook and socialize, everybody else is ready for bed! Well, I have been trying to spend that time with my family instead. And then I find myself missing the creative juices when they all go to bed. ARGH! I will adapt, I swear! 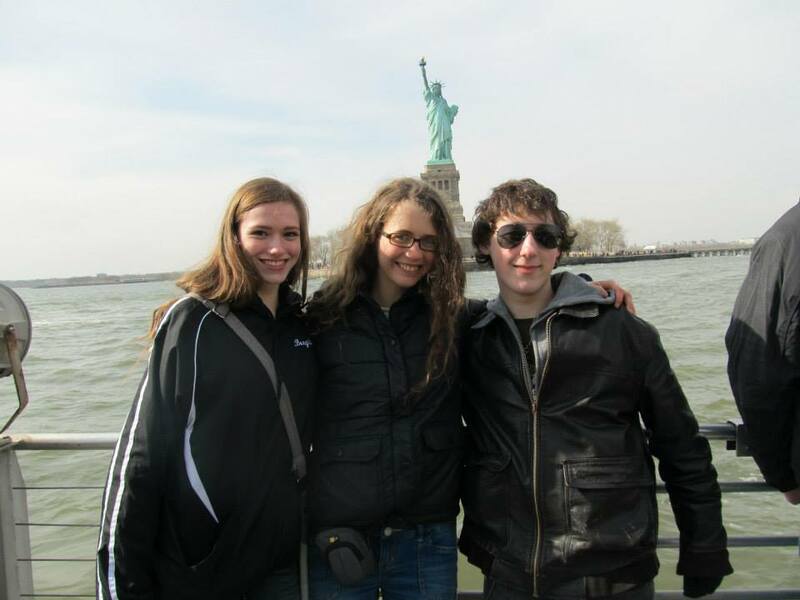 Here is a picture I nabbed off of my son's Facebook page from his very recent trip to New York city. No, he did not bring his mother with! But since I would have had to shell out $800 to chaperone this school trip, I chose to stay home. This was a week long bus trip for orchestra, band, and choir. They played in a performed and recorded in a cathedral, and performed in a big Baptist church and the Trump Tower. I think they performed a couple other places too. It was a fantastic trip. And I kid you not, he talked for 5 hours straight about the trip when he got back, lol! Geoffrey is in orchestra (plays viola) and choir this year. He is also in Vocalmotive, which is our local high school's competitive show choir. I mention this because last year he was in orchestra with the viola, and band with baritone and alto saxophone. He has some musical talent :) And he wants to be a nurse like his parents! Now, how about a card? I was inspired by the layouts I have seen lately with the tilted layers in one corner of the card and thought I would give it a try. It is a little more challenging than I thought! 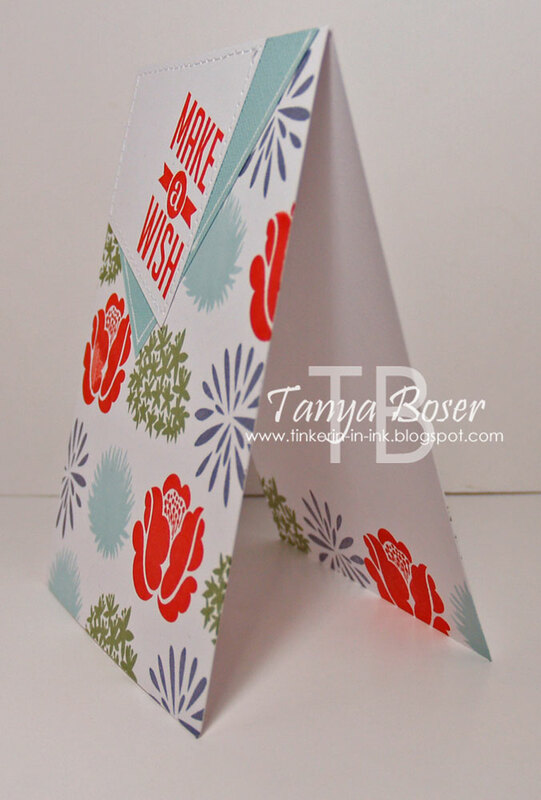 Mostly because I tried to use smaller pieces of cardstock to create those tilted layers, lol! 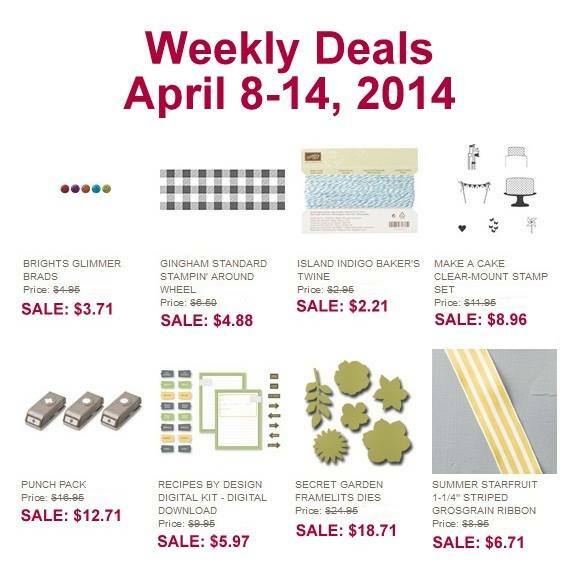 In case you needed an excuse to do some crafty shopping, here are this week's deals! I always love to hear the thoughts of those who stop by to check out what I have been up to. Please don't be shy! Is it spring yet? 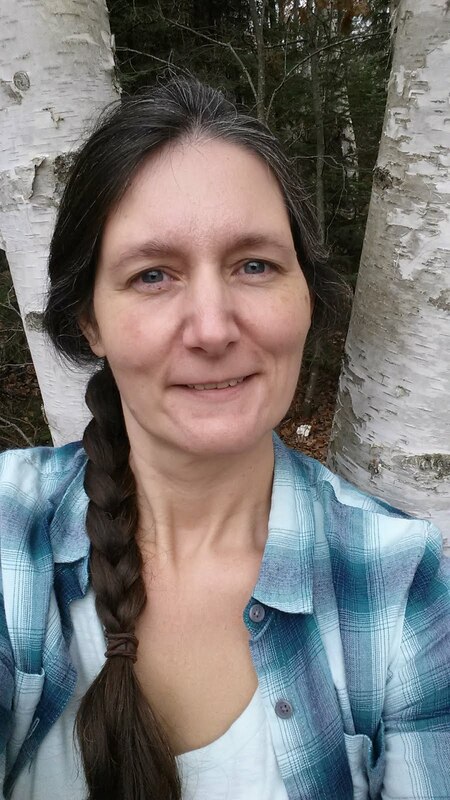 I think it might be thinking about being spring here in northern Minnesota. I'll let you know when I don't have 2 feet of snow covering my yard anymore, lol! Now it is time to go see Mary Rindal has cooked up for us!